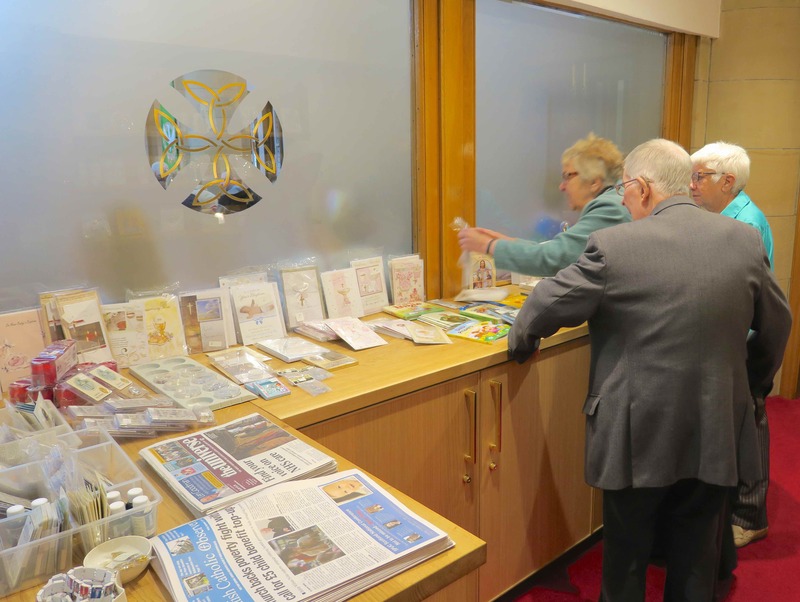 Our Parish Shop, which is open before and after all Masses, sells Catholic newspapers and cards for Baptisms, First Communions, Confirmations and other special intentions. 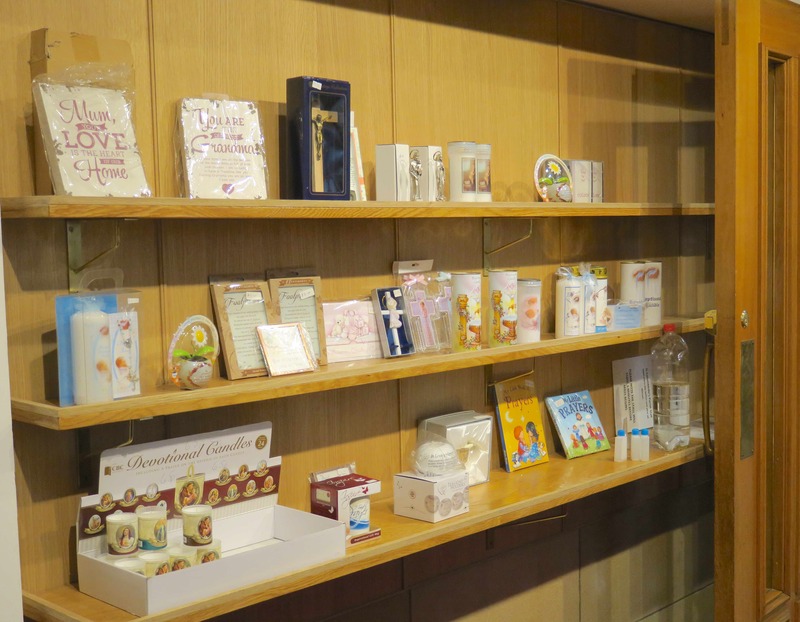 You can also buy things like Rosary Beads and Prayer Books, and much more. 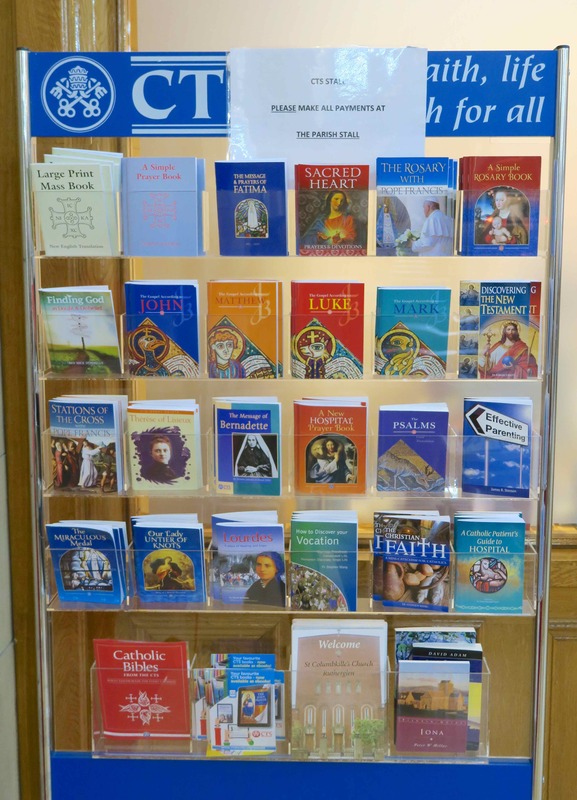 A display stand outside the shop provides small CTS publications on a range of faith issues. 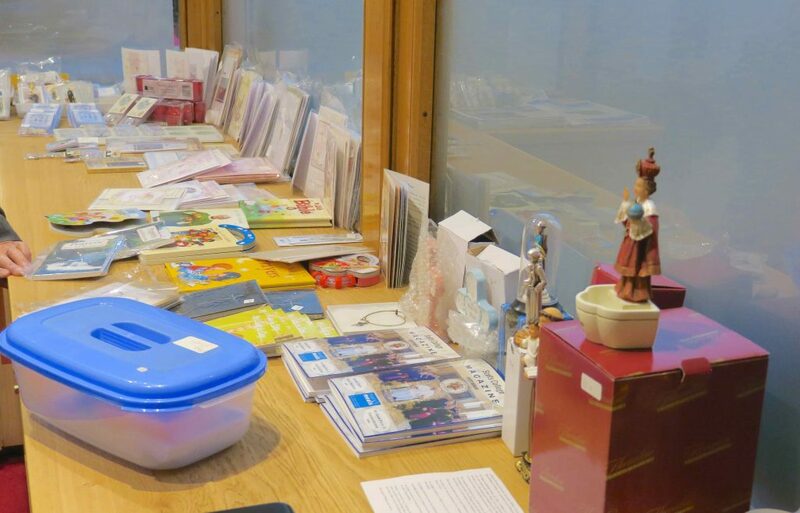 If you would like to make a specific request for an item then please contact us. 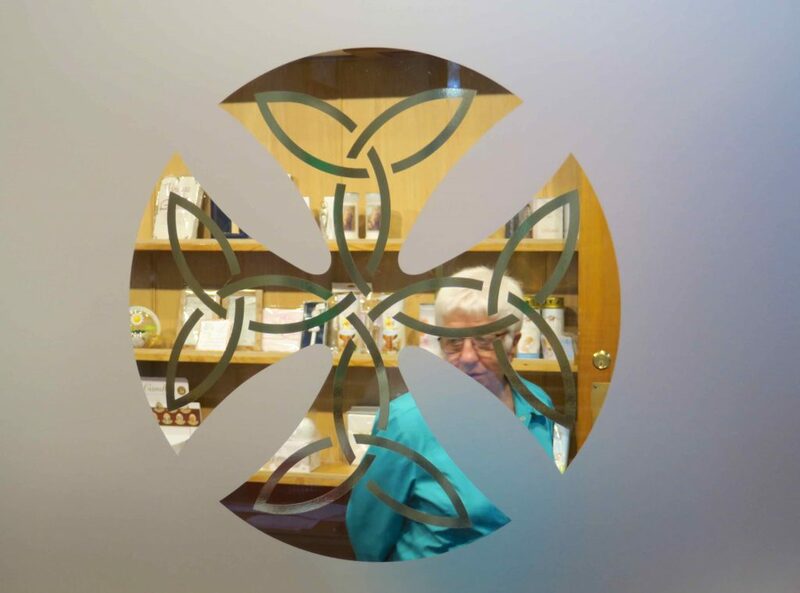 URGENT: Volunteers required to help at the weekday 1pm Mass. If you can help, even one day per week, please phone Mairead Brown: 07516 791597.